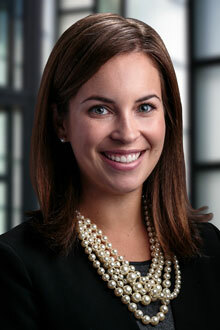 Amanda Mathieu is an associate in the Boston office of Lewis Brisbois. Amanda focuses her practice on civil litigation involving Professional Liability and Employment matters as well as providing claims management and contract review services for Professional Liability matters. Amanda concentrates her civil litigation defense work in New England representing professionals, including architects, engineers, lawyers, surveyors, directors and officers, financial representatives, medical professionals, real estate brokers and real estate developers and other individuals and corporations. Brief for the Massachusetts Supreme Judicial Court as Amicus Curiae, Coghlin Electrical Contractors, Inc. v. Gilbane Building Company & another, 472 Mass. 549 (2015).